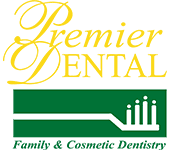 Once a patient is diagnosed with gum (periodontal) disease, dentists will use procedures other than regular cleaning (also called prophylaxis) to treat the disease. 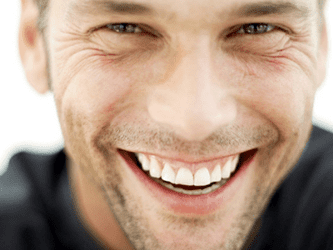 In the early stages of gum disease, most treatment involves non-surgical procedures; however, in more advanced stages, surgical procedures are often required. The following are detailed descriptions of these procedures. Scaling and root planing: While a regular dental cleaning is for the visible portion of teeth, scaling and root planing is a special cleaning that removes plaque and tartar (also known as calculus) from under the gumline (in periodontal pockets) and smoothes the root surfaces to promote healing. A scaling procedure is the only way to remove calculus from this area. In some cases, antibiotics or antimicrobials may be used to supplement the effects of scaling and root planing. In most cases of early gum disease, scaling and root planing in addition to continued daily cleaning at home will achieve a satisfactory result of reversing gum disease. Periodontal maintenance/supportive periodontal therapy: Following a scaling and root planing, specialized deep cleanings can minimize the recurrence or progression of gum disease. Pocket depth reduction procedures: Your dentist will open up the affected gum tissue so that disease-causing bacteria and calculus build-up can be removed. Some cases may require smoothing and recontouring the damaged bone and root surfaces to allow the gum tissue to reattach to healthy bone during healing. The procedure also repositions the gum tissue so that it is easier to keep clean. Regeneration: Your dentist will treat the affected gum tissue in the same way as in pocket depth reduction procedures, with the additional procedure of using membranes, bone grafts or tissue-stimulating proteins to stimulate the body’s natural ability to regenerate healthy bone and gum tissue. Soft tissue grafts: Your dentist will take healthy gum tissue from the roof of the mouth (palate) or other areas of the mouth and use it to repair receding gums and cover exposed root surfaces.